A UTM code is an additional string of code that you add to a URL in order to track the source, medium and campaign that produced a visit to your website. Do not get freaked out by the use of the word “code”, it does not require any developer knowledge, anyone that can copy and paste a URL can easily manage to add a UTM tracking code to their Google Business Page, or any other online marketing they are undertaking this would include Facebook, Twitter etc. The point – as a business you need to understand where your referral traffic is coming from to your website in order to prioritise your efforts that work. You can also use it to identify which message your users prefer and start refining these to your users. UTM tracking codes are easy to create manually and there are a number of tools out there that can help with this. 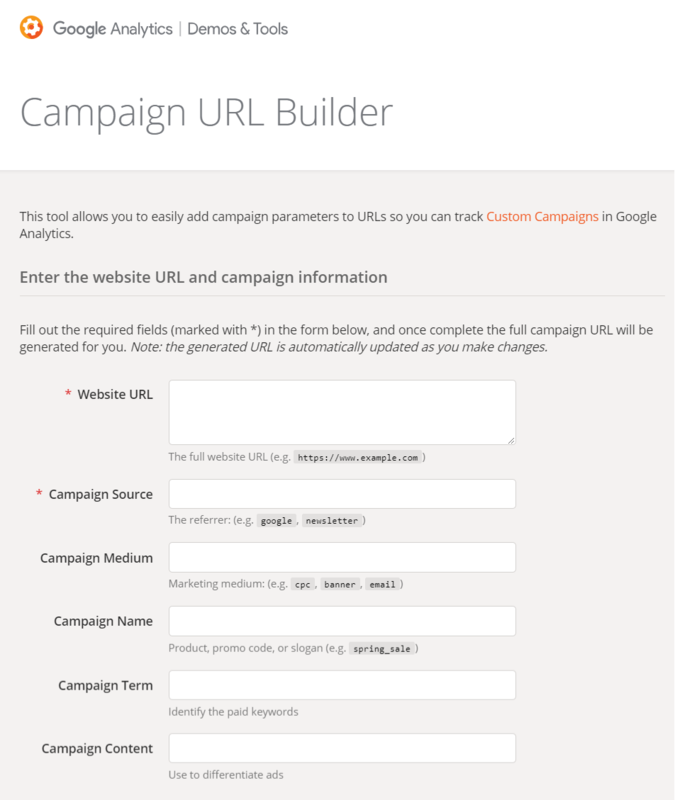 The one I recommend is the Google Campaign URL Builder, nothing fancy, it does what it says on the tin. You add the URL for the business, this could either be main domain for a single location, or the location pages URL if you have multiple locations. 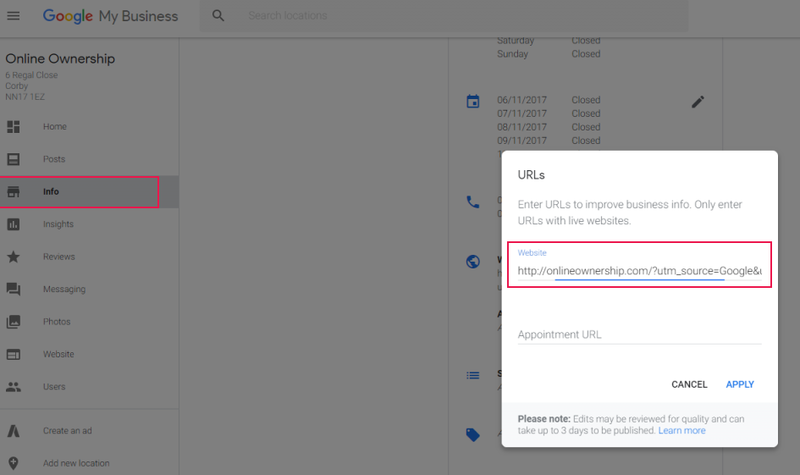 For a single google business location, you add your URL, and campaign source – your campaign source would be Google My Business or just GMB. For a multiple location business you can then start using the campaign medium to denote which location. You can then easily track these different locations within your analytics. If you have a dedicated appointment URL (or menu for Restaurant) you can create and add one for this URL also.